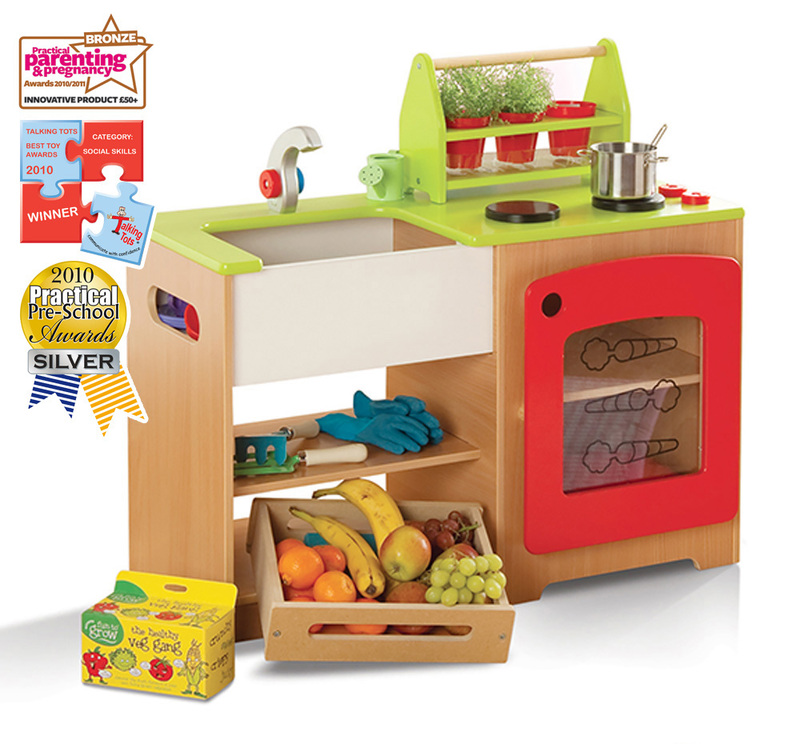 Our award winning kitchen and market stall is designed to promote a healthy eating lifestyle and make learning fun at the same time. 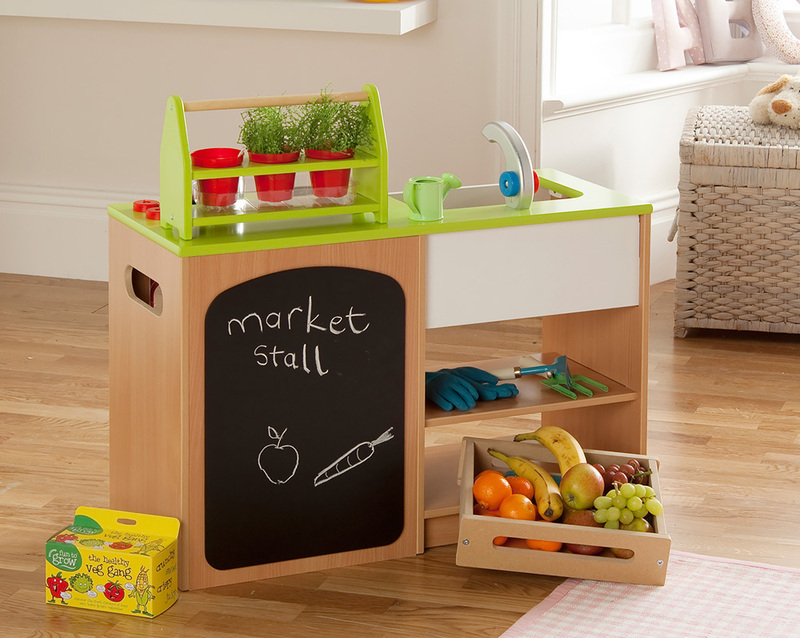 The healthy eating kitchen and market stall unit includes a wooden crate for storage, large blackboard, oven, hob, rotating dials, Belfast sink and portable plant holder. A ‘Healthy Veg Growing Kit’ is supplied which includes pots, compost blocks, plant labels, seed sachets, growing instructions, drip tray and transportable pot holder. Manufactured sustainably in the UK using beech melamine board with vibrant red and lime green accents in child-friendly paint. 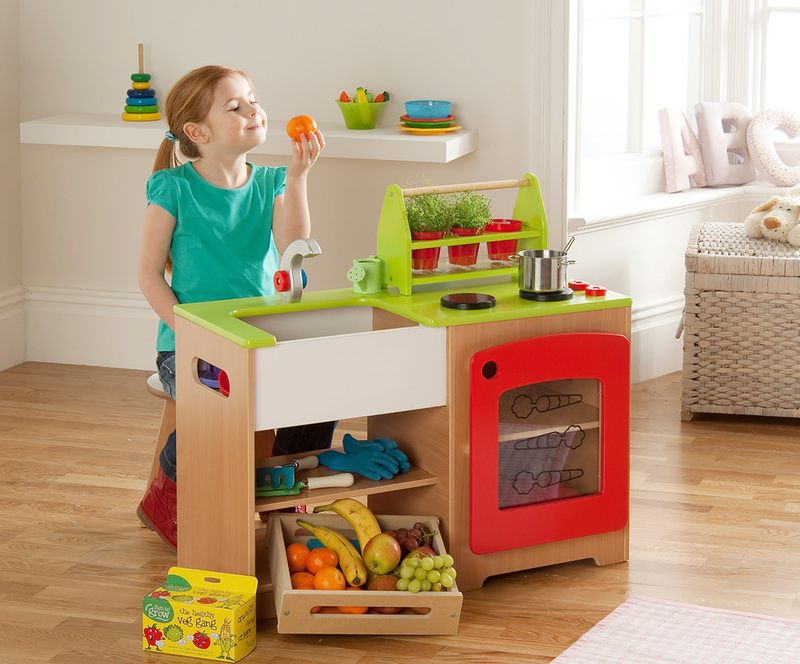 Ideal for creating a home corner role play kitchen in your school or nursery. 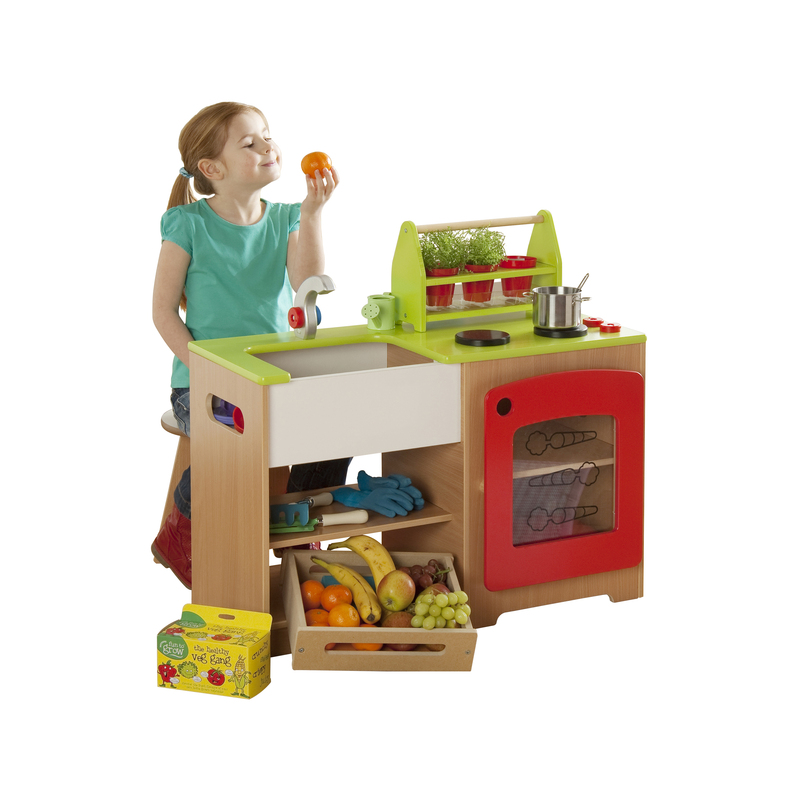 Please note: the toy pots, pans and gardening equipment seen in the images are not included with the healthy eating kitchen and market stall. For more information please Contact Us or call us on 01733 511121.